Jordan McNamara is a contributing writer to UTHDynasty.com, FantasyPros.com, and FootballGuys.com. Pre-order his forthcoming book, The Analytics of Dynasty and get a free one-on-one phone to discuss dynasty strategy. 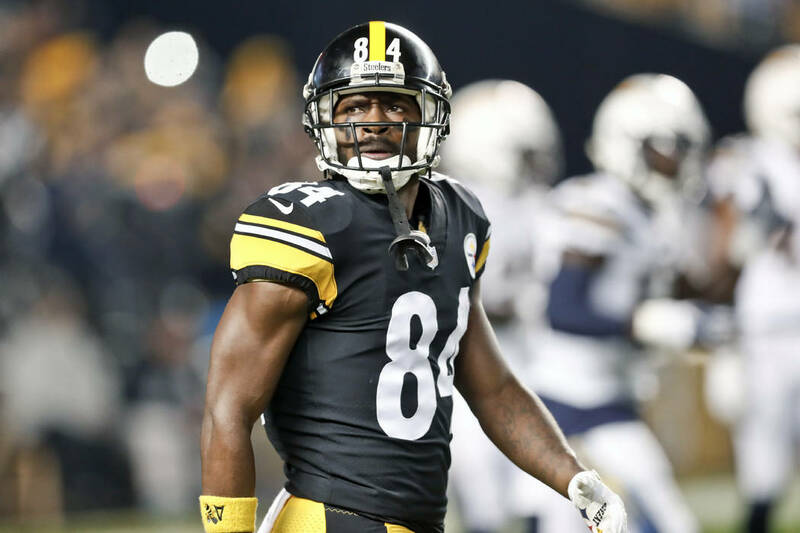 With the news breaking overnight that Antonio Brown appears headed to Buffalo, Twitter nearly exploded. Nearly all of the reaction was a death knell for Brown’s production. There are a couple of reasons to be skeptical about Ian Rapaport’s report. First, there was no compensation cited in the tweet or a follow-up appearance on NFL Network. A trend in these situations, like earlier in the day with Case Keenum trade to Washington, is for compensation to trickle out soon after the initial breaking news. That has yet to happen. Two, no one has corroborated the report. When big news breaks, other reporters, like Adam Schefter are typically close behind. That did not occur prior to 1 AM. In fact, Bills beat report Vic Carucci shot down the report. Ian Rapoport is as plugged in as any NFL reporter and his reporting indicated multiple sources. A trade of Antonio Brown would be a massive story and falsely reporting the news would be humiliating for Rapoport. Rapoport knows this. Is it possible he is wrong? Yes. But it is not the type of story Rapoport would run with on a source he did not trust. If he did and is wrong, it could ruin his career. The coming hours are likely to shed more light on the trade. If Brown is traded to Buffalo, his market price would certainly drop. At DynastyLeagueFootball.com, Brown’s ADP is 23.67, so right at the 2/3 turn. The reaction to a Brown trade to Buffalo was almost universally negative on Twitter. In The Analytics of Dynasty, I wrote about something I called 8% decision making. A top 8% outcome is required to finish as a championship dynasty team. Consistently winning championship requires a certain mindset that embraces risk at the right cost. Below is an excerpt from the book about risk-taking and narratives. Dynasty team building requires risk if you are going to be a championship team. The price for Brown will likely drop 4 or more rounds in startup drafts which should be reflected in the trading market. Josh Allen struggled at times as a rookie, but two key points are worth remembering. One, Allen averaged 11 Air Yards Per Attempt according to NFL Next Gen Stats, the highest in the league. Two, Ben Roethlisberger showed signs of a steep decline, particularly with reduced efficiency when targeting Brown. Is Allen better than Roethlisberger? No. But he does not have to be if the “Josh Allen is inaccurate” narrative is going to drop 40 startup spots in valuation. If Allen completes 55% of his passes to Brown while targeting him 14 yards down the field, Brown will be able to Embrace the Variance. I saw a twitter thread the other day that inspired some research. With more than 100 picks in there are some early conclusions from the ongoing Superflex draft I am in. While historical Superflex data is limited, each draft can create a better feel for the pacing of positions and when positional runs will occur.